Kathmandu is so busy! Its crazy traffic, pollutions, noise, chaos and loads of works makes life so tiring and hectic. No doubt; everyone from this hectic city wants an occasional refreshing break from tiring routine of daily life. Whether you live in the city or are just visiting for a while, there are numerous easily accessed places that make for good weekend trips away from Kathmandu. Here are Wilderness Excursion’s recommend great places for great getaways. To escape from the city as well as a spiritual experience, consider visiting Namo Buddha for a weekend. Situated to the southeast of Kathmandu, Namo Buddha is a little further away than the other weekend getaways, requiring about 2-3 hours to reach. It’s possible to trek to Namo Buddha from Banepa, Dhulikhel, Kavre Bhanjyang or Panauti. Namo Buddha is home to the Thrangu Tashi Yangste Monastery, an important Buddhsiy pilgrimage site around the world. You can stay in a guest house at the monastery for the night, taking your meals with the monks. Alternatively, stay at the Namo Buddha Resort for a slightly more luxurious experience. Nagarkot is located up in the hills to the east of the Kathmandu Valley. It’s a popular destination for weekend picnics, and has many hotels in several prices brackets. On a clear day, there are spectacular views of the Himalaya, especially the Langtang range. There are a number of trails going through the forest on the hillside, including a short trail up to the Nagarkot View Tower and the Nagarkot Nature Trail. 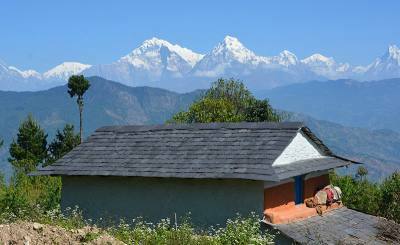 Nagarkot can be reached by taxi in about one or one and a half hours from Kathmandu. It is also possible to take public buses, first to Bhaktapur and then transferring to Nagarkot. Situated to the southwest of Kathmandu, the pine forest on the Hattiban hillside up above Pharping makes for a great escape from the hustle and bustle of city life. Bring your tent and go camping (there’s a camping spot with some fire pits, though it’s a bit dirty with trash) or splurge and spend a night in the Himalayan Height Resort. You can visit some of the monasteries in Pharping, or hike up to Champa Devi. When the weather is clear, you will enjoy some spectacular views of the Himalaya stretching out behind Kathmandu. 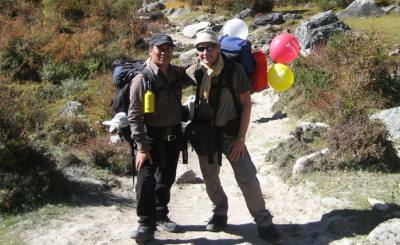 Hattiban can be reached by jeep from Kathmandu in about one hour, or take a bus to Pharping and then a 20-30 minute hike up to the resort. Shivapuri National Park, to the north of Kathmandu, is a fantastic area for hiking, mountain biking, and enjoying views of the Himalaya. A visit to Shivapuri is a must-do for bird-watchers and others interested in seeking out the diverse flora and fauna in the hill zones of Nepal. 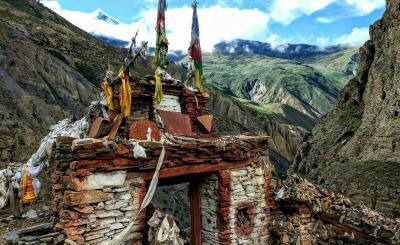 From Nagi Gompa, take a three-hour hike (one way) to reach Shivapuri Peak, at 2725 meters. Or explore the other numerous trails that go through the park. 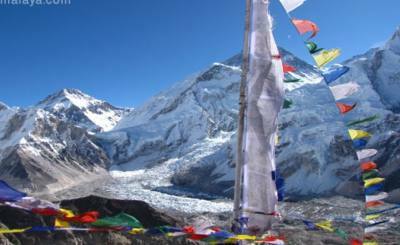 The park entry fee for hikers is Rs50 for Nepalis and Rs 500 for foreigners. Foreigners may also be required to walk with a guide provided at one of the park entry gates, but there have been mixed reports as to whether this ‘rule’ is always enforced. There are a few different options for an overnight trip, including staying at the lovely Shivapuri Heights Cottages (about 30 minutes driving from Kathmandu), or Shivapuri Village (about one hour driving). Lets see How Beautiful Nepal is?